HeyPlantMan! 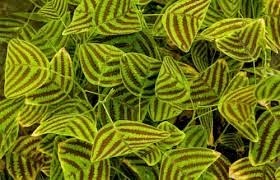 Exotic Tropical Plants from St. Pete FL: Green Thumb Festival, St. Pete coming up soon ! 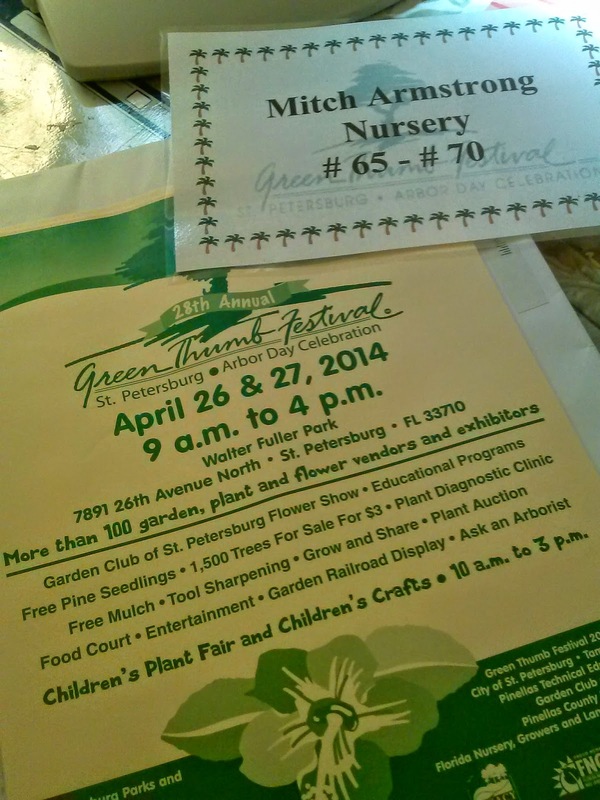 Green Thumb Festival, St. Pete coming up soon ! Greetings all on this gorgeous day in April. I think we may have got our last cool front this morning when we woke to 50 degrees in St. Pete ! We have been at many shows plus our regular markets for the past 6 weeks and now we are gearing up for the last big show of the season, right here in our home town, so want to make sure you have marked your calendars for it...check it out ! This is a show where you definitely want to bring your cart/wagon/small children/helpful partners, as you will find tons of great plants and items for your gardens and homes. There's lots of food and drink options, and shade to hang out in. Very children friendly, with programs and activities for the young and the young at heart. With over 140 vendors, it is quite the sales place and here's help for finding us, Armstrong nursery ! If parking or entering from the north end of the park, as you enter the general sales area, you will encounter some booths, then a sidewalk, and just past this sidewalk, on the right, you will see our large layout. Just look for the Hollyhocks ! Vietnamese (aka tropical) Hollyhocks are the stars of the our show and our booth and will be at the very center front of our booth. We will have over 200 Hollyhocks in a variety of colors. While Hollyhocks are great, we will have a ton of great 'co-stars' specimens of Exotic Tropicals, Rare stuff, loads of gorgeous ferns, succulents, hardy perennials and more. Also, we will have a great assortment of Butterfly friendly garden plants starring our gorgeous Passion Flower Vines, Milkweeds, perennials that provide shade, food and moisture for butterflies and caterpillars ! The show is very busy both days, all day long and yes, we do restock, so if you can't make it till Sunday, you will still find a great selection. Stay tuned to the blog as I post pics and info about Green Thumb Festival Magic time ! Meanwhile, we are back at Saturday Morning Market this coming Saturday. Market is a great way to get a jump on getting those special plants you want for home and garden and you will get first dibs on things we are bringing to Green Thumb too. Market is getting warmer on the parking lot so we are putting up 4, yes, 4 large tents to keep our plants and our customers comfy ! Lastly, yes, we are also planning our annual Spring Plant sale at our house 2 weeks after Green Thumb. It's a great time to still get some great plants at great prices, as we start clearing out the nursery and our yard for the summertime. Our Garden party sale is always a fun time for all our loyal customers and new friends to come and hang out with us and get some great deals. More info to follow as we get closer to that, but tentatively, the Garden party plant sale is slated for May 10-12th. One last teaser: Guess who's coming to Market/Green Thumb festival?? !